Thank you for taking the time to view my paintings. 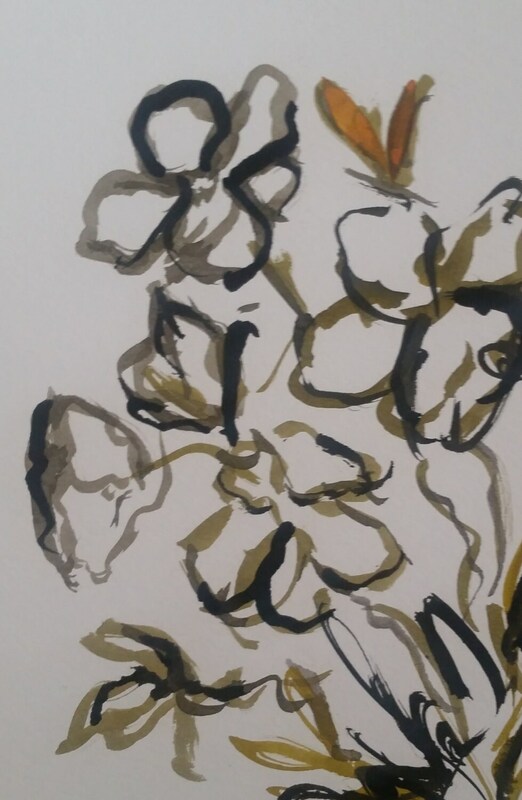 View more like this painting in my section of ink paintings. 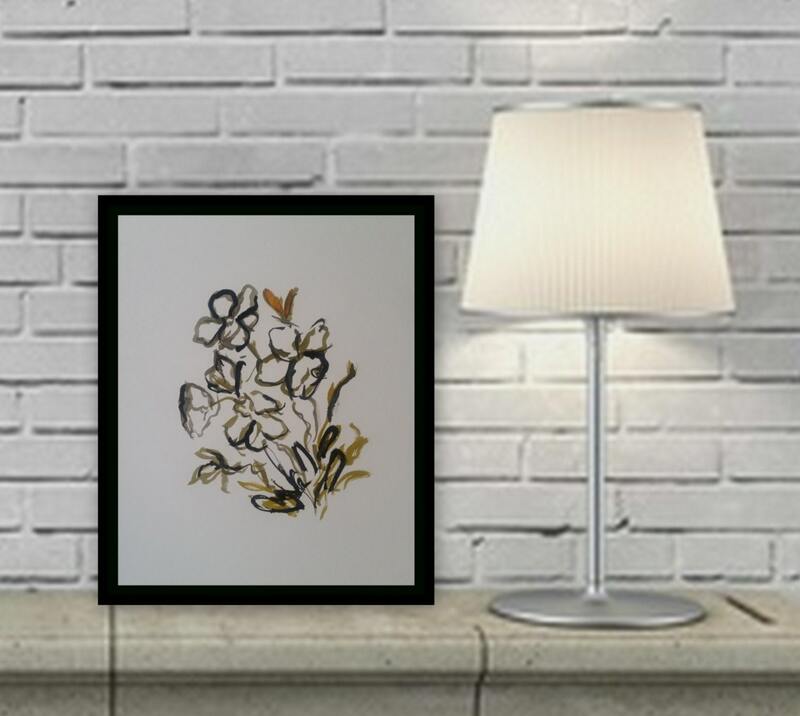 This is a beautiful ORIGINAL INK painting created using paint brushes and ink pens on heavy duty quality paper made specifically for ink paintings. 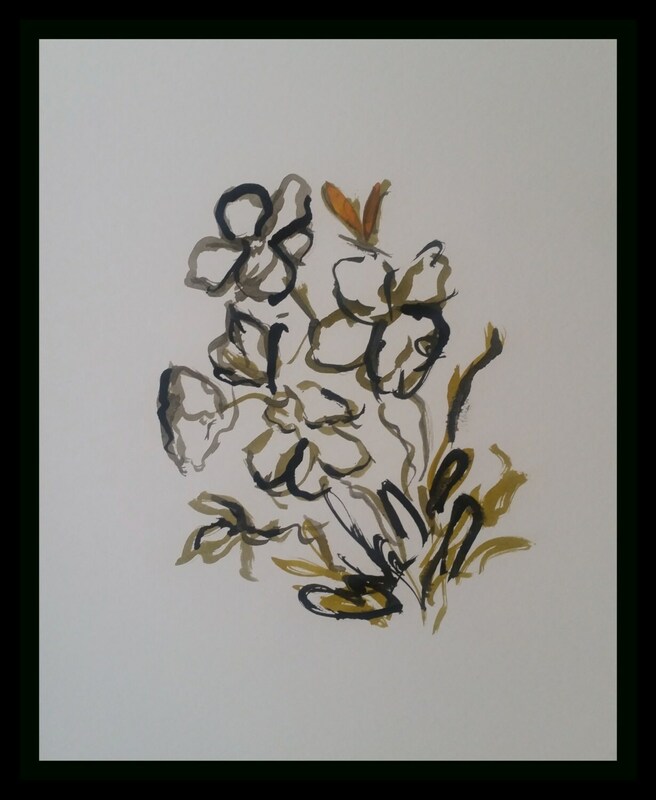 size: this painting will fit great with and 8"x 10" matted frame as shown in the example. You have the opportunity to purchase one of my first paintings in this style. I have a lot of fun creating these paintings . They have a very fun, carefree brushstroke. These seem to just have a very peaceful, elegant and fun feeling to them. 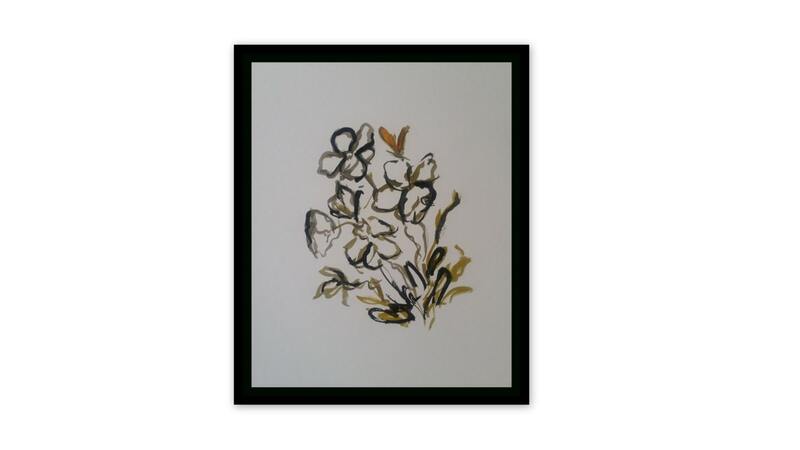 Please contact me for a custom painting similar to this style or if you would like to purchase cards with a print of these floral paintings on them.